Q. 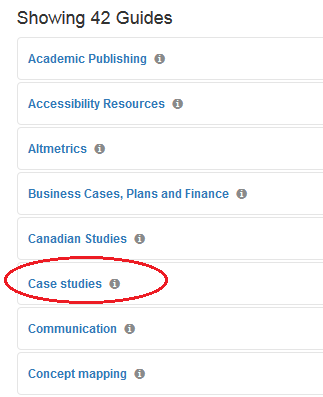 Could you help me to find any case study related to the hospitality industry? 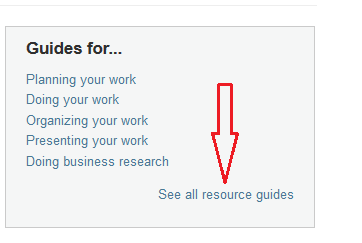 To search for case studies on your topic, go to the RRU library homepage at http://library.royalroads.ca/ and click on "See all resource guides" under the "Guides for..." heading. 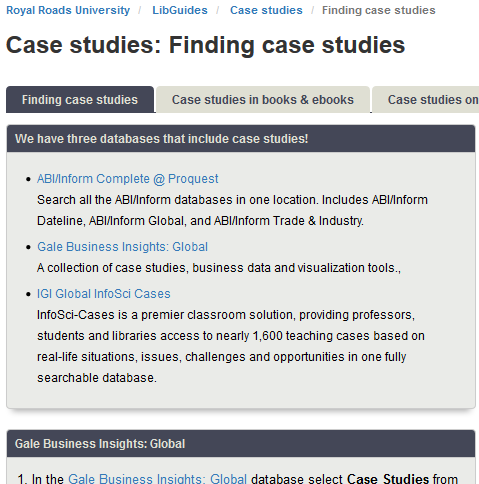 When you get to the LibGuides page, click on "Case studies" and it will bring you to instructions or tips on how to navigate around finding case studies for your subject.